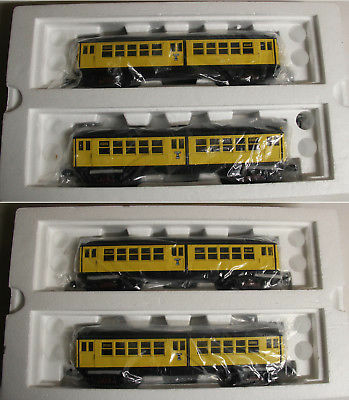 Anyone have the Q-type subway set from MTH? I have a quasi subway line on my layout - what I could make given constraints - and have been running a Doodlebug on it. 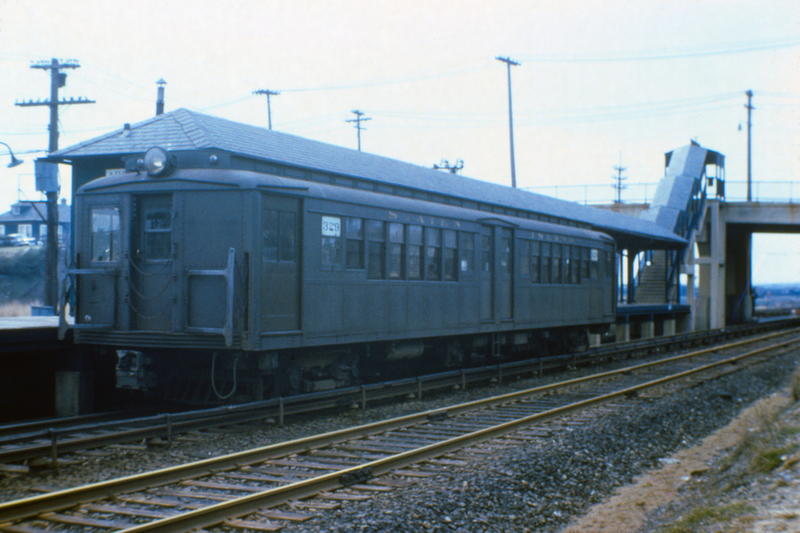 I would love to get an old-time subway car set - and I think the Q-type cars fit the bill and look nice. Does anyone have them and are there any videos to watch? I couldn't find anything on the internet. fwiw; I like the old-time subway cars - they seem to have more interesting bodies than the streamlined modern cars. Are there any others made besides Q-type? The "Q" models, for some moronic reason (early dementia on the part of Mike Wolf), are manufactured to a different scale than the other MTH subways. They don't look as good next to other subway models or trains. Get the "lo-V's". I love my yellow work train. As the one who was a main tech person for all the NYC subway sets from the very beginning with MTH - (and per my Issues about Mike Wolf's self-meddling-created errors - which I caught and had, quickly and with much angst, gotten fixed in pre-production) and as my being a well known O-Scale (and long ago HO Scale) NYC Subway and EL car, and streetcar car model maker (aka "builds them myself") -- I can state that the MTH Q Types are pretty much as close as possible to the scale dimensions of the real ones. Given the minor size-spec-diversions to fit the MOTOR (aka Loco) car dual inside can motors and top flywheels, electronic circuit board and its plate, and a truncated semblance of seats and the overhead lighting rack - jammed into the motor (aka powered) car body shell --- the MTH Q types, LIKE the Low-V's -- BODY SHELLS are about 6 inches wider than their prototype car bodies -- to fit all that into the motor (Powered) car interior. 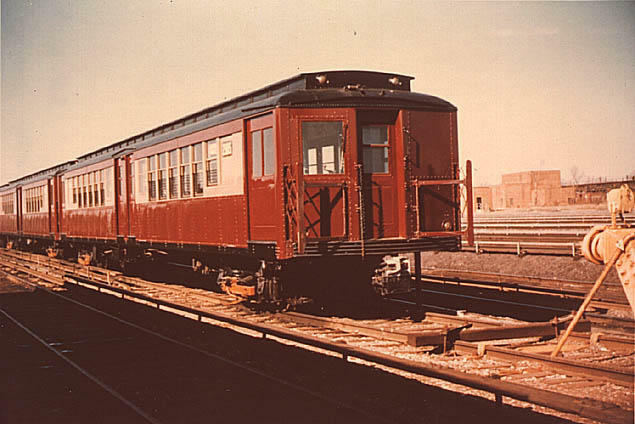 Thus all trailing cars were made the same dimensions as the MOTOR (Loco) cars -- but these unpowered trailing cars having FULL inside seating and details visible instead. ALSO, to compensate for and clear the flywheels on the tops of the motor shafts in the motor cars --- the MTH cars BODY SHELLS are about just under a Scale 1/2 FOOT higher than their prototype bodies. 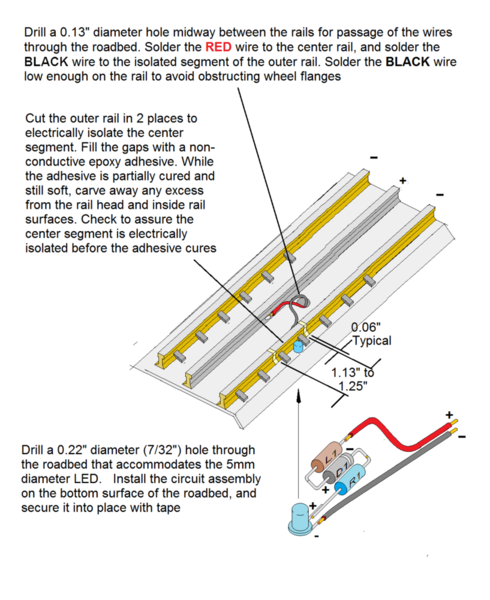 Q Types width at roof line -- 9' 1/4"
Q Types width at body sides -- 8' 9 1/2"
Low-V Cars width at body sides -- 8' 8"
Q Types length between ends of centers of Anticlimbers -- 49 ' 1/4"
Low-V Cars length between ends of centers of Anticlimbers -- 51' 1/2"
SO --as you can see -- the prototype Q Types would be SEVEN INCHES approx. HIGHER from rail head to top of roof -- than a prototype Low-V train sitting beside them. Also the Q Types BODIES were 2 feet shorter than the Low-V's . (b) -- THIS due to MTH from the beginning, using an existing small diesel motor loco truck "sub-block-assembly" for installing the wheels and sideframes for their O-Gauge Subway & El cars. Also, because Diesels generally use a 40" or large inch wheel size - MTH had to make the subway car sideframes "deeper" from top to bottom to hide that sub-block assembly. (a) -- Notice the faithfully "replicated" details and shape of the BMT type "Peckham" Motor truck under the MTH Q Type Car at left -- but NOW look at the SCALE SIZE and dimensions BMT Peckham Motor truck under my scratchbuilt (33 years ago !) BMT EL Gate Motor Car 1234 at right, with its scale wheels. (b) -- Again, the MTH truck sideframes were made oversized to compensate for and "hide" the larger truck sub-block behind them and the too large 36" wheelsets that they also have to "hide" . ALSO NOTE how the MTH Q Type sits way much higher than the scale height (from rail head to roof top) of my facing BMT EL Gate Motor Car. FINALLY ------- The MTH postwar BMT-IND Division R-Type "SMEE" cars including the famed PRE WAR IND R-1/9 cars -- are pretty much fully to scale BODY SHELL width and length dimensions -- save for the height a bit higher to clear the can motor flywheels and the MOTOR CAR inside "lighting rack". But width and lengths are pretty much accurate --as these cars were 10' wide in prototype, so MTH had a bit more "interior room" to play with on those scale width created BMT-IND division body shells ! So Tommy, PLEASE - you must KNOW the real facts first prior to statements made such as yours (moronic, dementia, etc). Remember, even I have to admit, that if it weren't for Mike Wolf,. 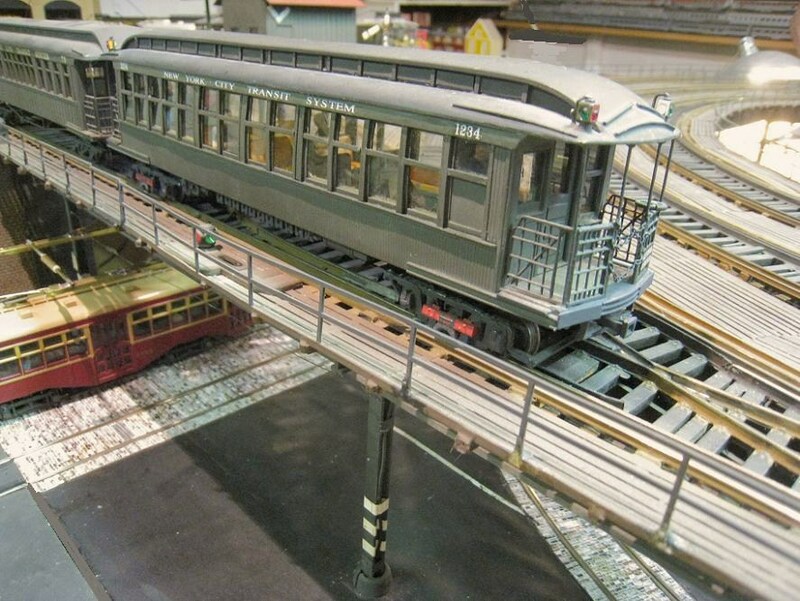 heh, even taking "the plunge" into the Rapid Transit (Subway cars, trolleys) Model field -- you would have NONE of what MTH and he produced today to even complain about !! Thanx for the info and clarifications. Your images of the "Q" and the "low-V" illustrate the size differential nicely. I have the BMT "standard" ones also, which I like very much. I retract the tongue-in-cheek comments about dementia. Thanks Joseph and Tommy for the great information! Joseph - your scratchbuilt motor gate car is awesome. Is it accurate that the Q-types look to be coupled closer together than the Lo-V car sets (as shown in MTH catalog photos). 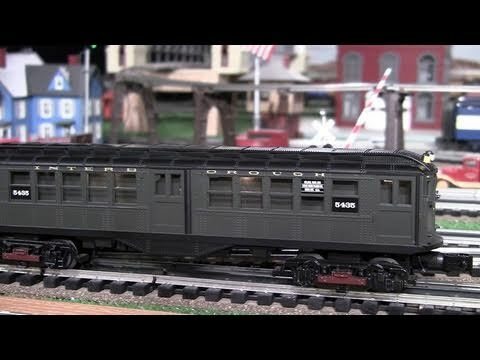 I guess any cars can be modified - but given time constraints I'd like to find an old-fashioned subway car set that couples as close as possible. I'll be running them on O-54 limited diameter track. What I am tempted to do is obtain an SIRT body from Island Model Works ($85), which fits over the MTH BMT standards. These were often run as single car units on the south beach and north shore lines on Staten Island. In SIRT service they were painted B&O blue (very good looking) and also brown. 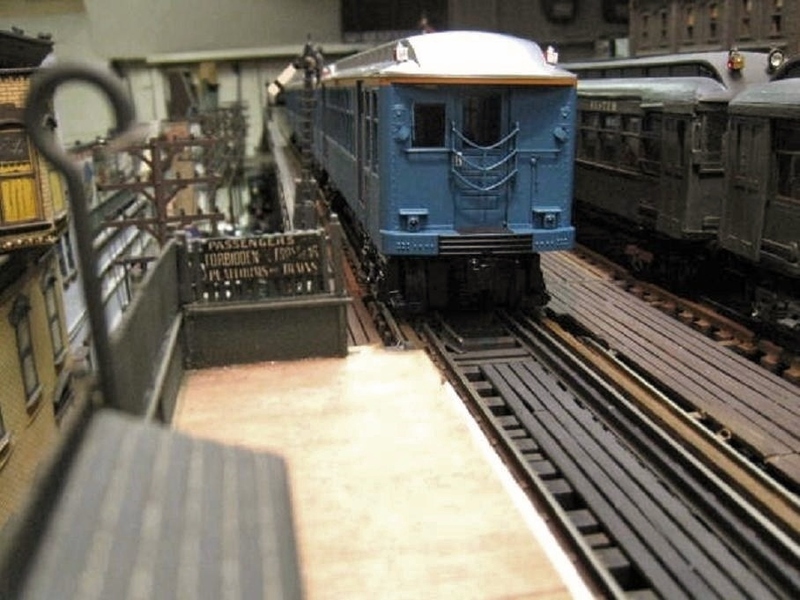 BECAUSE the (MTH) O-Scale Low-V cars and Q types DO NOT HAVE those "end pantograph gates" -- like the Models of the post war SMEE R-Type Class cars do, they can be coupled closer together without "fouling" the fixed end gates. In real life, the end pantograph side safety gates "accordion" (collapse and expand via springs when rounding curved track as their end-outward facing "rub plates" actually rub, make contact, against each other at the ends of each car. 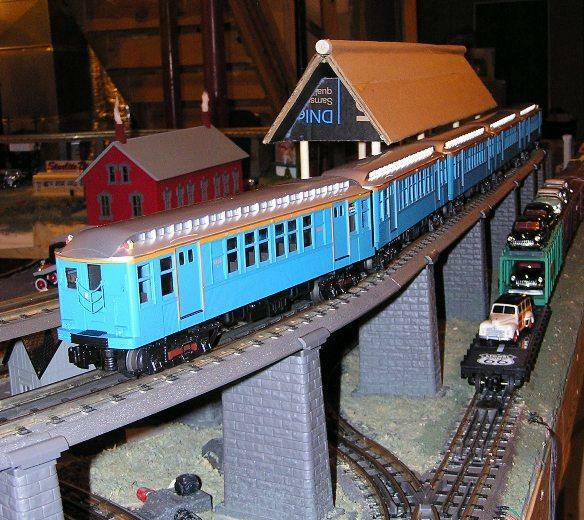 The MTH models gates DO NOT "collapse" and MTH produces and shows them as "semi extended" and not as fully extended as they would normally be and appear in a train of cars on a STRAIGHT TRACK. 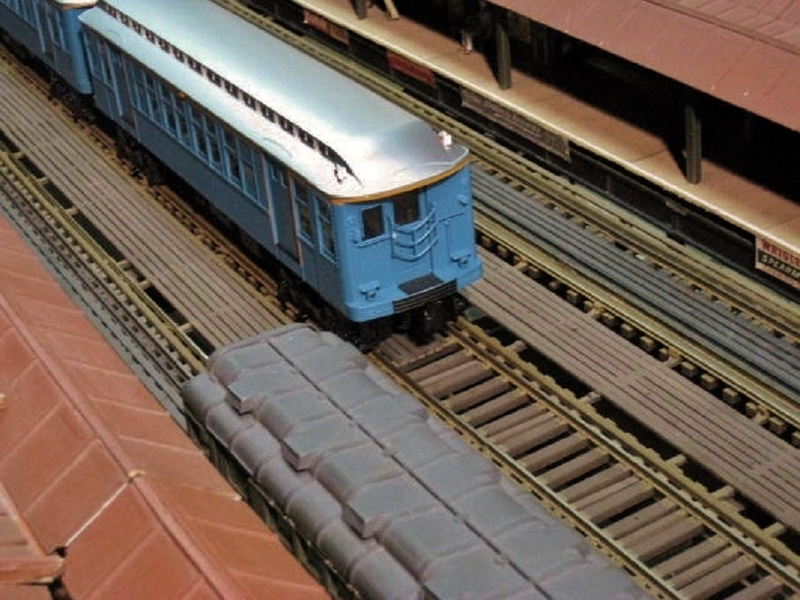 The Low-V and Q Types produced by MTH are the only pre war NY transit class rolling stock that, like their prototypes, DO NOT and NEVER had the SMEE R-type fixed end pantograph gates. 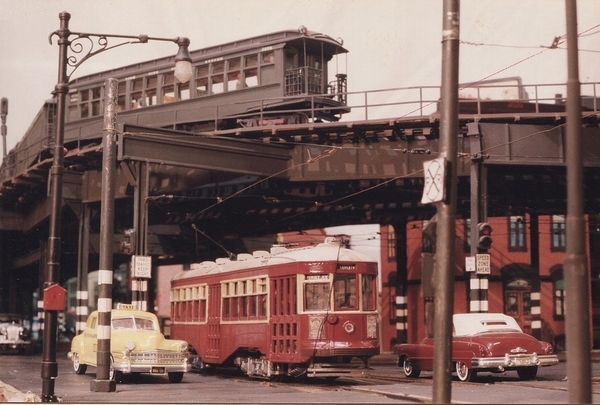 The gates between the Low-V and Q Types (and ALL woden EL Cars) were "accordion folding gate" type safety gates. The LONG SHANK MTH COUPLERS are needed to keep the MTH subway cars with fixed, dummy" end "Pantgograph Gates" far enough apart on sharp curves so these gates do not contact or tangle with each other and either break off or derail the train. However, those long couplers are "overkill" in length solely and more so to allow the cars to negotiate the sharpest tinplate track curves -- being 027 curves !!. Because my 2 rail converted MTH R-Type "SMEE" subway cars run on my EL and system which has scale 2 rail track which has much more generous curves than 027, - I can couple my R types closer together using my own hand-made and designed radial-swing type BODY MOUNTED couplers. Without my end panto gates jamming against each other. The "retraction" was a nice and proper gesture. The only reason they did not - could not - run with Standards are because many of the circuitry button-&-socket contacts on the coupler portions had to be rewired on the SIRT cars to mate up and be compatible with those - and the system-functions of those --- coupler portions on the BMT Standards. A LOT OF WORK -- which at the end result for that small fleet - was not worth the time, money and effort. The SIRT cars were a short time "gap filler" 2nd hand fleet for a few years until the new R-16 and R-27 cars arrived. The SIRT cars allowed retirement of some of the old wood El car stock they replaced. Frank - absolutely awesome work. Thanks again. The El on my layout mimics the Flushing Line from the tunnels under the East River to the 1939 World's Fair Ground. Trains are the BMT Q and IRT LoV by MTH. 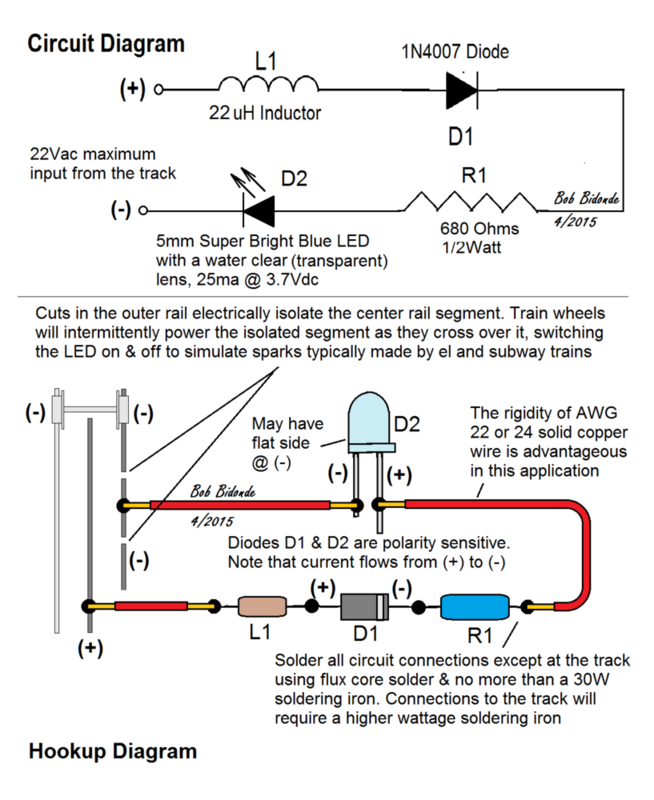 There are spark simulators along the tracks, and each El loop has 64 feet of track. My interest is having an overall appearance of the Flushing Line. Approximate "scale" is fine by me. 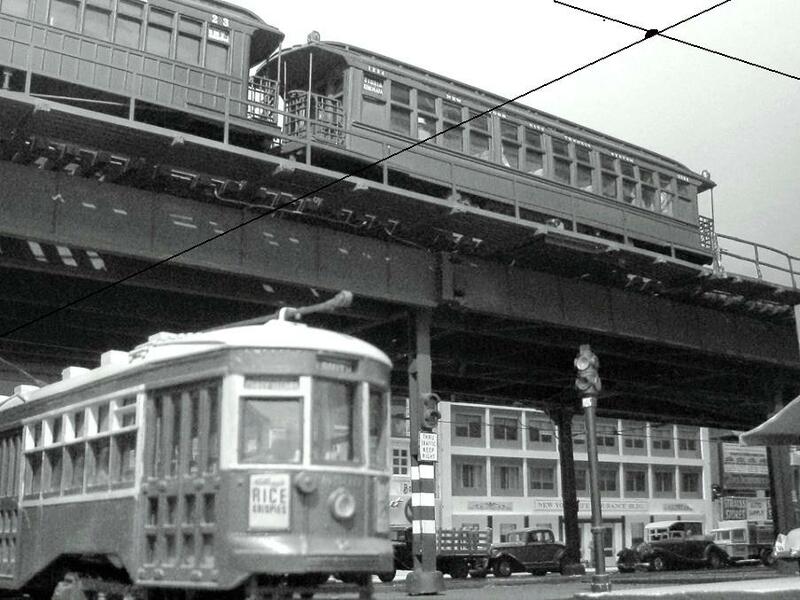 My home line was the Manhattan 3rd Ave EL -- Upper East Side - but I had a lot of neighborhood personal contacts along and exposure to the Flushing Line in the 1950's-70's. Would have loved to have been there with a camera and color film back in 1940 --but was there with cameras a lot in the 1964-65 period of that Fair. Anyway, I tried to recreate somewhat the look and feel of the line and 1939-40 NY Worlds Fair time with the rolling stock as it was then , on my own O Scale NYC EL Layout. If you can shoot video of those trains with that lighting, you could have the best-looking video of MTH Q-cars on YouTube. Currently the only videos of them are two clips that were shot by the same person years ago, in a room so dark that it looked like it was lit by birthday-cake candles. Bobby Ogage, Is that a spark being simulated in that picture of the Q? I do not have video capability. Yes, I have spark simulators along the outside El loop where they can be seen by spectators. Bobby Ogage, awesome. I've never seen anything like it. So realistic.